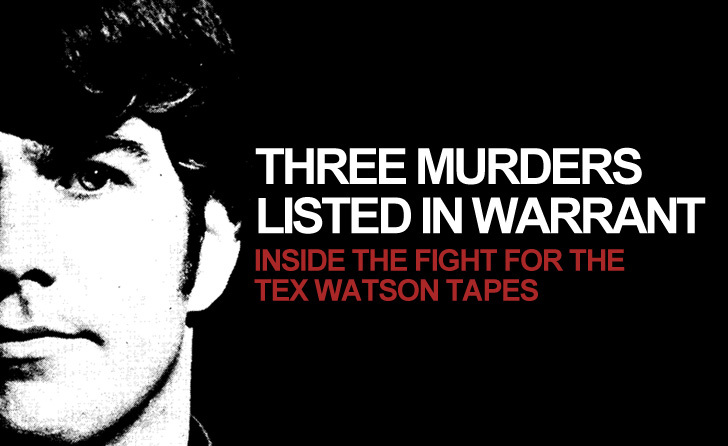 May 31 – Three murders were listed in the search warrant issued last year for the Tex Watson/Bill Boyd recordings. The sealed warrant, exclusively revealed to Cielodrive.com earlier this week, gave insight into the behind-the-scenes actions taken by the LAPD to acquire the 43 year-old tapes. The Los Angeles Police Department last October, disclosed their investigators believed that the decades-old taped conversations between Charles “Tex” Watson and his attorney, could possibly link a dozen unsolved homicides to the Manson family. However, the search warrant issued for the tapes that same month only mentioned three murders, none of which occurred within the LAPD’s jurisdiction. Of the three murders mentioned in the warrant, only two were specifically named – Karl Stubbs and Fillipo Tennerelli. In November of 1968, friends of 80 year-old Karl Stubbs found him severely beaten in front of his home in Olancha, California. Stubbs was described by friends as a religious man who befriended anyone he came upon. Shortly before his beating, Stubbs was seen with a group of hippie types and was acting out of character. Stubbs was still alive when he was found, but died later in the hospital. Before his passing, Stubbs told investigators that he was beaten by 2 young men and 2 young women, who giggled the entire time they beat him. The body of 23 year-old Fillipo Tennerelli was discovered in a Bishop, California hotel room on Wednesday, October 1, 1969. Tennerelli died from a shotgun wound to the head and his death was, and always has been, ruled a suicide. Weeks after Tennerelli’s death, the California Highway Patrol reported finding his abandoned Volkswagen in the Panamint Valley, north of the Barker Ranch. According to reports, blood was discovered both in and outside of the vehicle, leading some to suspect that Tennerelli’s death was not a suicide. According to the warrant, the LAPD became interested in the two cases after reading the Desert News article, More Manson Mysteries in Inyo County. The 2008 article, written by Tom Weeks, covered the still lingering suspicions surrounding both the Stubbs and Tennerelli deaths. The third murder listed in the warrant is that of an outlaw biker. The warrant doesn’t identify the biker by name, but does identify LAPD’s source for the information – a 2008 taped interview Bill Boyd did with author Tom O’Neill. The LAPD became aware of the tapes in March of 2012, after the Los Angeles County District Attorney’s Office was contacted by Department of Justice Trustee Linda Payne. Payne had been assigned with the task of liquidating the assets of the law firm Boyd/Veigel after the firm went bankrupt in December of 2009. Bill Boyd, had died in August of 2009, suffering a heart attack while running on his treadmill. While going through the firms assets Payne found two boxes of legal files and 8 cassette tapes pertaining to the Charles “Tex” Watson case. Watson was arrested in McKinney, Texas on November 30, 1969 after California issued a warrant in connection to the seven Tate-LaBianca murders. Three days later, Watson retained the law firm of Boyd, Veigel and Gay to represent him in and signed over all of his property to the firm. Bill Boyd fought Watson’s extradition to California for nearly a year before the appeal was denied by U.S. Supreme Court Justice Hugo Black on Friday, September 11, 1970. 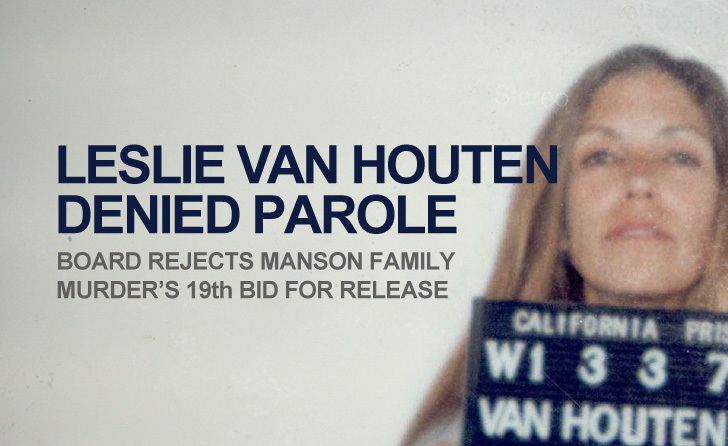 Payne contacted both Watson and the Los Angeles County District Attorney’s Office about the files and tapes. On March 19, 2012, the LAPD sent Department of Justice Trustee Timothy O’Neal a formal request for the tapes. Payne filed a motion, asking for a court order to turn over the recordings to the LAPD. 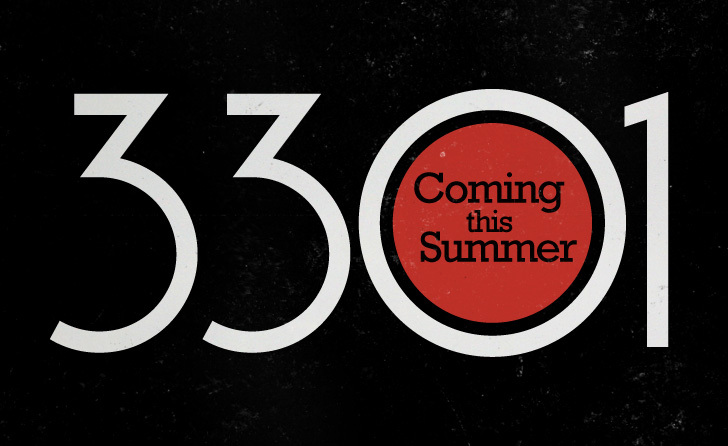 A hearing was held in Plano, Texas on May 31, 2012. Watson’s lawyer argued that the tapes were protected by attorney/client privilege. O’Neal, however contested the claim and introduced into evidence a document signed by Charles Watson in September of 1976 that waived his attorney-client privilege. The agreement signed by Watson, allowed for Boyd to sell certain things in order to raise money for his legal defense bill. Copies of the recordings were sold in 1976 to Chaplin Ray Hoekstra for $49,000. The recordings became the basis for Watson’s book with Chaplin Ray, Will You Die For Me? Judge Brenda Rhoades ruled against Watson at the conclusion of the hearing, stating that he had failed to prove that the attorney-client privilege still existed. Rhoades ordered the tapes be turned over to the LAPD. Both Watson’s attorneys and Watson himself appealed Judge Rhoades’ order in June. Watson filed a pro se motion with the court requesting the LAPD only be allowed to listen to the tapes and asked the tapes then be turned over to his attorneys. According to the search warrant, LAPD homicide detective Dan Jenks met with the author Tom O’Neill in July of 2012. In the meeting, O’Neill let Jenks listen to the 2008 interview the author recorded with Boyd. In it, Boyd discussed having approximately twenty hours of taped recordings of Watson discussing the Tate-LaBianca murders. Boyd also revealed that Watson also discussed other murders committed by Charles Manson, including the murder of a biker. That same month, Jenks contacted detective J.D. Ross in Fort Worth, Texas, requesting assistance in recovering the tapes. Jenks had learned from Payne that the tapes were locked in a safe at her residence. With information supplied to him from Jenks, Ross put together a warrant. The warrant, which was signed by Judge Michael Snipes on October 3, 2012, called for the search and seizure of all forms of audio recordings within the residence of Linda Payne. The warrant was blocked two days later by Judge Richard Schell. According to Schell’s order, the LAPD had not offered any explanation as to why the bankruptcy appeal should be circumvented. The LAPD last week revealed that they had finally flown to Texas to take possession of the tapes. The tapes were turned over to the Scientific Investigation Division who made digital copies and homicide detectives as well as the District Attorney’s Office have begun analyzing their contents. The tapes will not be disclosed to the public at this time. The hearing, which was held at the California Institution for Women in Corona, California, was attended by relatives of Sharon Tate and Jay Sebring, who along with Deputy District Attorney Patrick Sequeira voiced their opposition Atkins’ release. Atkins’ husband/attorney, James Whitehouse, presented the board with a lengthy account of Susan’s post-conviction and parole history, arguing that she has been suitable for release for decades. Atkins herself spoke to her suitability and read support letters from her neice, brother and a fellow inmate. Sharon Tate’s sister Debra Tate, and Jay Sebring’s sister and nephew, Margaret and Anthony DiMaria made victim impact speeches to the board, detailing the how the murders devastated their families. Jay Sebring’s nephew described how the murder of his uncle dealt his family an unimaginable loss and unbearable suffering. Patti Tate’s daughter, Marie, also attended, but did not speak on the record. Susan Atkins was denied parole for four years. The hearing marked Atkins’ 12th parole denial since becoming eligible in 1976. Susan Denise Atkins was born in California on May 7, 1948. Her mother was afflicted with cancer and died when Susan was still in her teens. Constantly fighting with her alcoholic father, Susan decided to hit the road; dropping out of school and moving to San Francisco. She got a job as a telemarketer for a company that sold magazine subscriptions, rented a room and soon found herself poor, lonely, and depressed. She eventually quit her telemarketing job and started waiting tables at a local coffee shop.